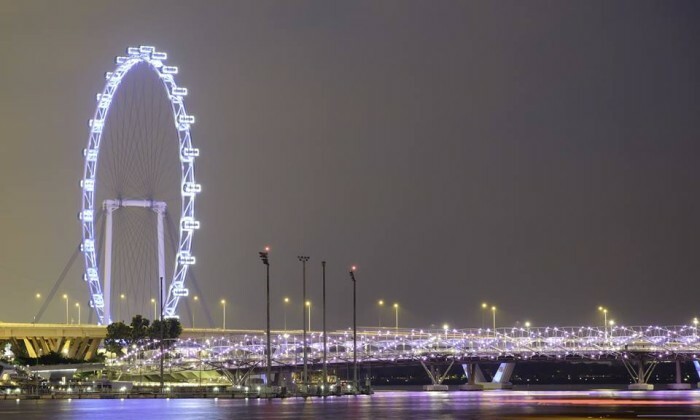 The troubled Singapore Flyer has finally found a new owner in Straco Leisure, a subsidiary of Straco Corporation, which has bought the local attraction for S$140 million. Straco Corp, which runs tourist attractions in China, has been known for marketing several successful tourists attractions such as Shanghai Ocean Aquarium and Underwater World Xiamen. A statement on the Singapore Exchange website said the acquisition is in line with the company’s “expansion of the group’s core tourism related business”. Through the acquisition, Straco will hold 90% of the share in the venture while WTS Leisure will hold 10%. Together they would form Straco Leisure. “Straco Corp has extensive experience in successfully developing and operating high-profile tourism attractions. Our robust, long-term experience in the sector provides a crucial foundation for reinvigorating this world-class attraction,” Wu added. Further plans are said to be revealed following the completion of the acquisition. The Singapore Flyer, the company behind the flyer first went bankrupt in May last year when it failed to meet financial obligations. Since then it has been on the hunt for a buyer. The company spent an initial SG$240 million to have the service up and running since 2008. A mom at home and a CEO at work. Meet Divya Gururaj. ..
Called “We are against Pinkdot in Singapore”, the group first came to attention for flagging an escalator ad found in Cathay Cinel..
Will in-home digital voice assistant devices kill smartphone usage?